Make the most of your bedroom space with this drawer chest. Five drawers provide great storage space for clothing and accessories, while the tall design takes up less floor space than a dresser. Tapered legs and clean lines complete the look for an updated take on classic rustic style. 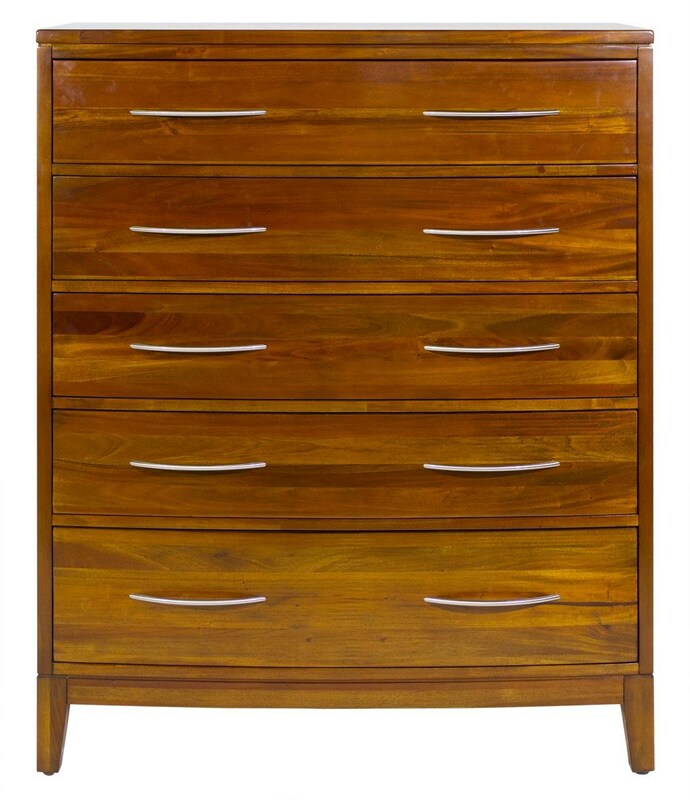 The Boston Brownstone 5 Drawer Chest by Napa Furniture Designs at HomeWorld Furniture in the Hawaii, Oahu, Hilo, Kona, Maui area. Product availability may vary. Contact us for the most current availability on this product.